Today’s post will be about two things; first, the alleged power consumption figures for flagship GPUs of both sides; which leaked out from the usual Chiphell forums by the way. And secondly, something that has been bugging me about the “Bermuda ES” sample spotted in yesterday’s leak. This something is the fact that we suddenly have benchmarks for a chip that didn’t even exist a week ago. 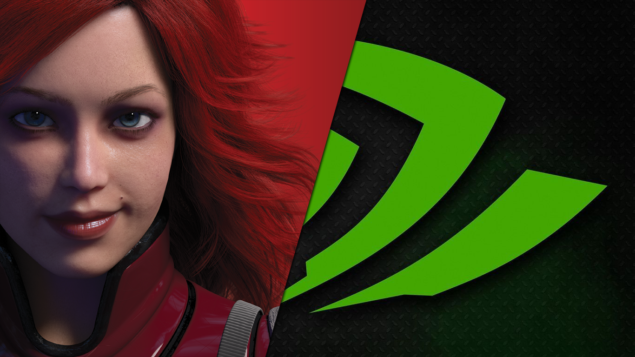 AMD and Nvidia flagships get their exact power numbers leaked – and what’s up with the Bermuda XT GPU? To delve deeper into the power paradigm I have also calculated power efficiency based on the numbers provided and using an arbitrary efficiency number (Relative Performance Scale/Power Consumption) and then plotting it into a relative scale with the most inefficient GPU as the base unit. The GM200 die will most probably be called the GTX 980 Ti (or equivalent) but as usual I want to make it clear that we don’t really know what it will actually be called. It beats the Fiji ES sample by approximately 2%. Not really a wide gap by any standard. You will note that neither the full fat GM200 or the Bermuda XT are mentioned in the leak. We know for sure that the GM200 exists because its papertrail can be traced all the way back to its prototyping (anyone remember the circuit loadboard?). Now here’s the thing, we leaked the AMD Next Gen nomenclature a very very long time ago, but to be honest, I am not happy with this development. I had accepted the fact that Fiji XT is the main die and everything made sense, Zauba shipping data included, but now we have a benchmark with the Bermuda ES smiling for the world. I have double checked and triple checked and there is still no signs of Bermuda on Zauba – the only authentic information source on the leak scene. So does that mean AMD managed to get an entire core past Zauba somehow? disguised under another name?. Maybe. In my opinion, any of three things has happened: 1) there is no Bermuda ES core and the benches are completely fake (highly improbable), 2) AMD managed to disguise it past the leak scene (no comment) or 3) Something very unusual is occurring. As the first two are pretty obvious, lets discuss the last. The first thing that comes to mind is that AMD might be playing with nomenclature, that the Fiji XT GPU spotted on Zauba is the 4096 SP one and will be renamed to Bermuda XT. Which suggests that a cut down variant will then be called Fiji XT. If we were to go a little further then I guess it is also possible (article skimmers, beware, this is speculation on my part) that the R9 380X is manufactured on the 28nm node (from TSMC) while R9 390X is manufactured on the 20nm node from GloFo. Since the testing channels would be different, this would explain its absence from Zauba, which lists silicon shipped to India. Apart from that, I don’t really know what to think on this one. Chiphell has been a reliable source of benchmarks in the past (the ones that are styled like this at any rate) but this time, I would urge our readers to absorb this with a pinch of salt anyway.